What better way to give a keepsake to a quilting friend than a memory or friendship block. Quilters have been exchanging and giving blocks to their fellow quilters since quilting began. Typically signed, they can be about anything that allows room for a signature and date but this spool block represents our love of quilting. 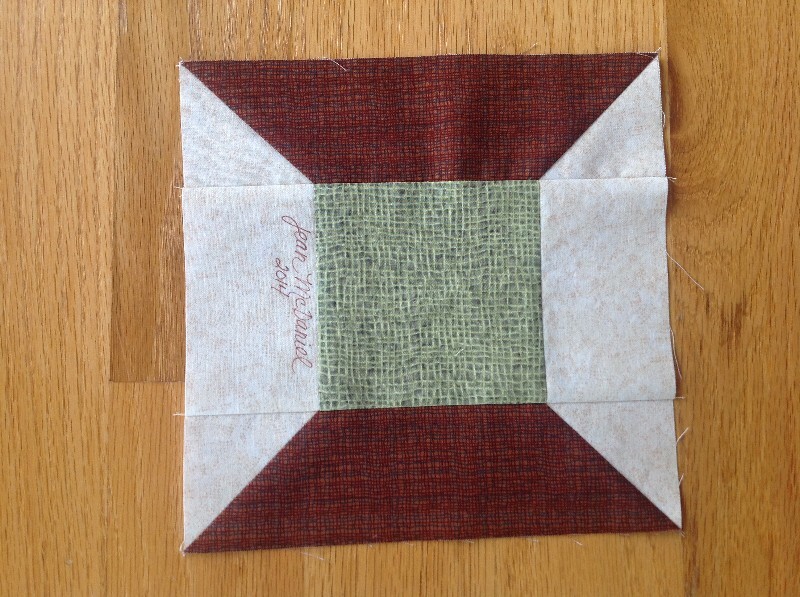 A traditional block that is simple to make using your scraps. Spool – draw line corner to corner across background 2.5” squares. Place over ends of spool rectangle, sew on line, cut away outside excess and press. Use the picture as your guide and assemble block. Raw edge measurement should be 8.5” x 8.5” Sign and date. Use a permanent marker or embroidery.